Glad I am not the only one who sometimes messes up the timing of blog posts. This card is just wonderful, and you are right that there are so many different ways to be inspired here. Now I have an extra day to think about it! Awesome. Cannot wait to see what you make! The date mix up was completely my fault - I apologize! But I'm glad that you're so excited to be our Guest Muse and as Joyce says, those who see it here will get an extra day of inspiration! Can't wait to see how everyone is inspired by your beautiful card! 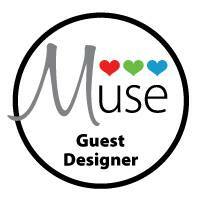 So glad to have you as our Guest Muse this week, Joan! I'm a bit confused... isn't today the 25th? What ever, Joan... this is fabulous!! 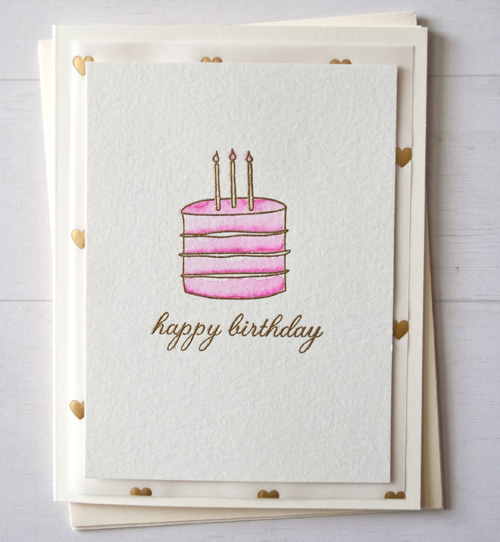 LOve the vellum paper - and having you guesting on Muse today! yes, I posted this a day early by mistake. Sorry for the confusion! GORGEOUS card, Joan! Love the clean simplicity of it!!!! thanks! simple is fun! as YOU know! Great card! Love the gold hearts peaking out! Looks straight out of a boutique! Fabulous card. Isn't retirement fun? Wonderful image and card!